Develops web application using the latest framework and technologies. Develops mobile device (Smartphone and Tablet) applications for both the iOS and Android platforms using the latest framework and technologies. Performs full lifecycle of project frameworks methodology: Initiate, Define, Design & Development, Implement, and Control. A Graduated in Graphic Design, Information Technology, Computer Information Systems, and/or equivalent. 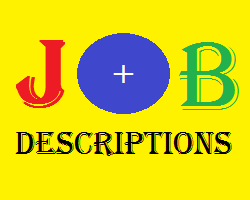 Belum ada Komentar untuk "Jobs Description of Web and Mobile Application Development"